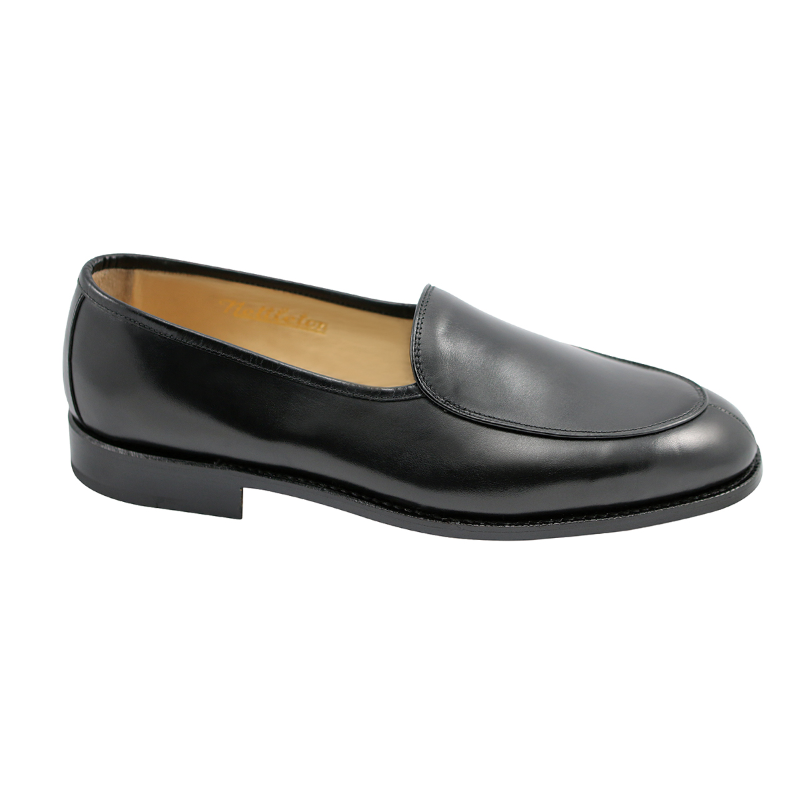 Beautiful lines and versatility define these classic Goodyear Welted slip on calfskin loafers. Featuring a Nettleton staple, a timeless appearance, this is a shoe that can be dressed up or down. Moc toe construction, full leather lining for comfort, and leather sole with stacked heel. Nettleton patented the word "loafer" in the 1930's and this style like the Savannah, encompasses that original loafers attractiveness and versatility. Available in Black and Burgundy. Handmade in Belgium.